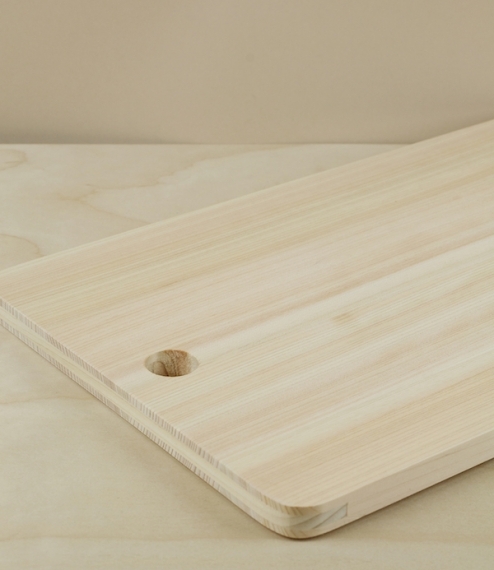 Subtly well considered cutting boards of a simple rectangular form with a hole for hanging, and traverse brindle cut reinforcement to either end. 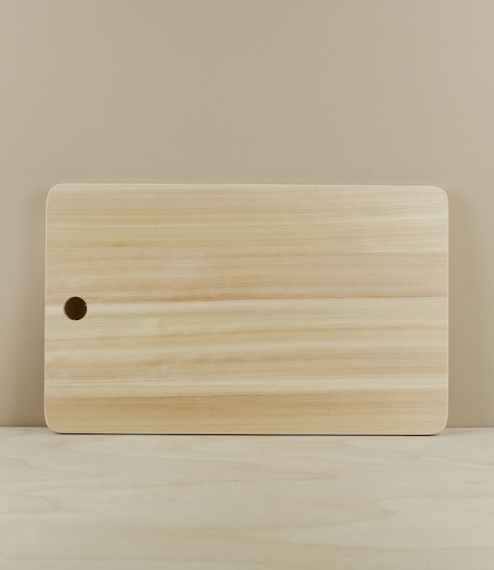 The board is made from hinoki, a type of slow growing cypress native to the central Japanese islands. Traditionally the timber of Japanese temples, shrines, and bath-tubs, hinoki is naturally anti-microbial, water durable, and favoured by Japanese chefs as the moderately soft even grained timber aids the longevity of the finest knife edges. Measures approximately 34cm by 21cm by 12mm.